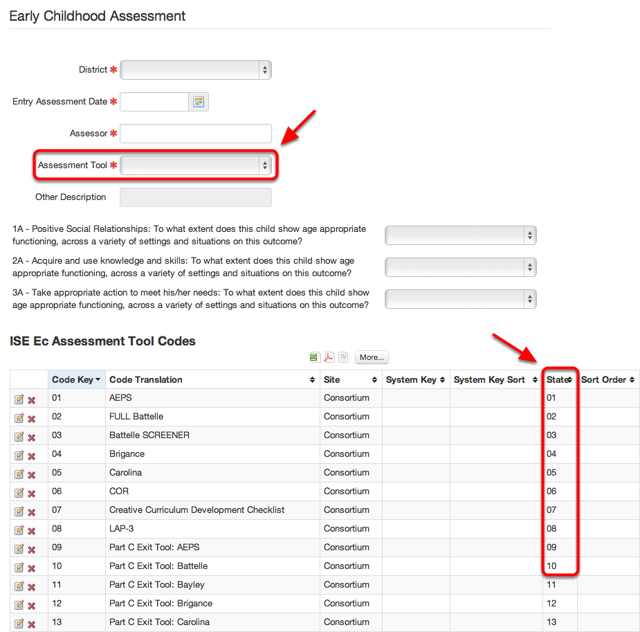 This lesson serves as a guide to the Early Childhood Special Education Assessment Component of the Michigan Student Data System submission. 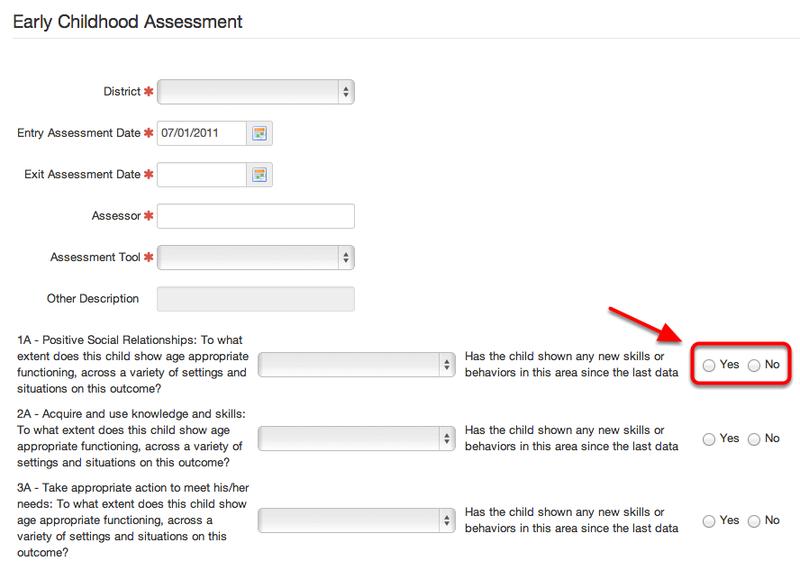 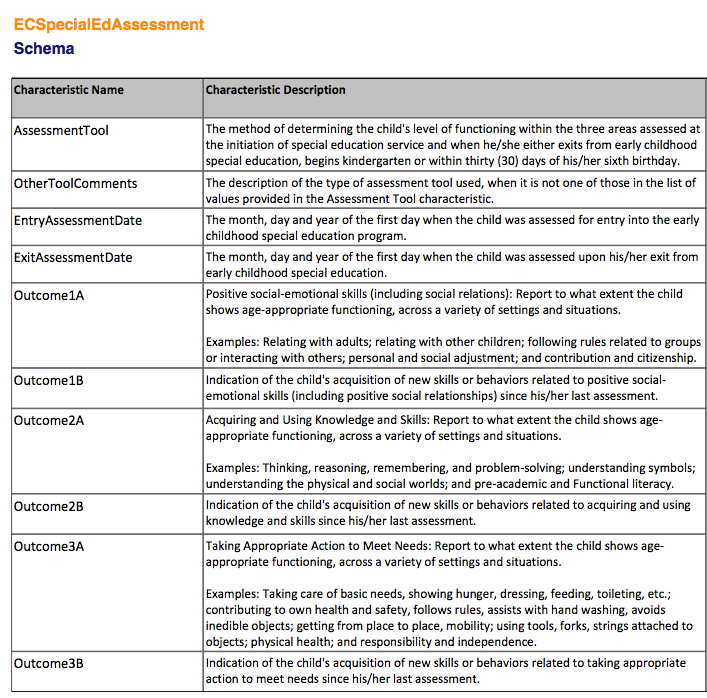 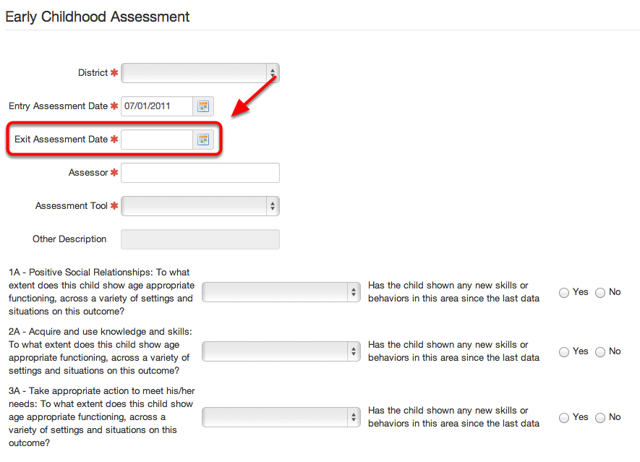 The Assessment Tool can be found under Special Ed Tab-> Early Childhood Assessment (3-5 yr olds). 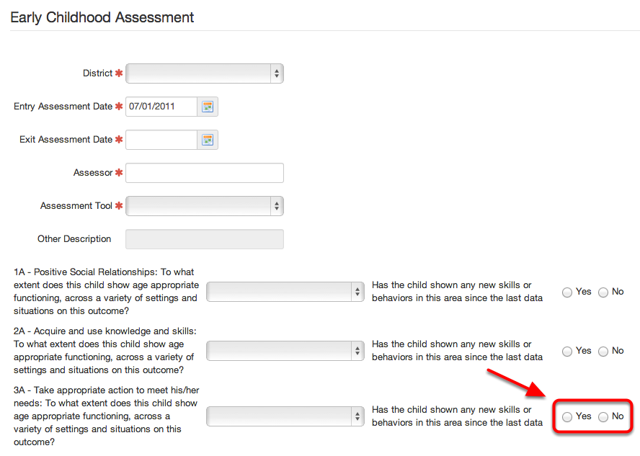 Note: Only tools with a state code mapping will be reported. Other Tool Comments are reported from the "Other Description" field in an Early Childhood Assessment. 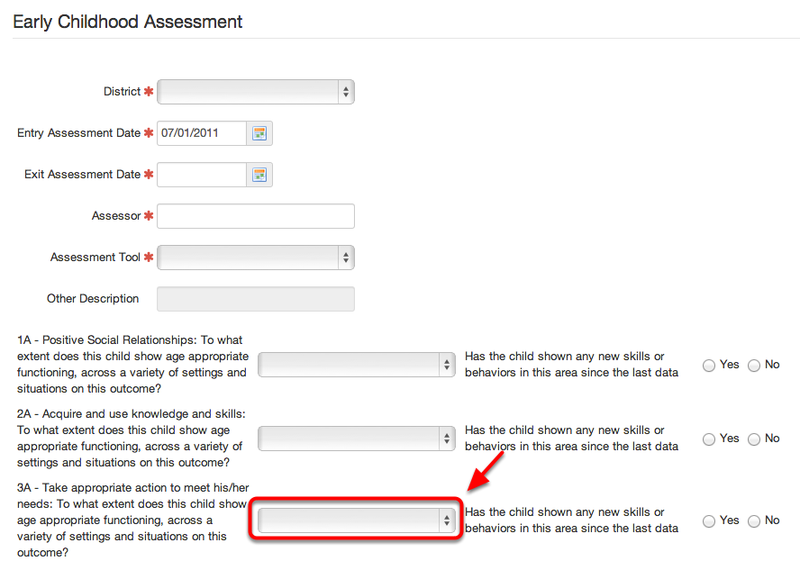 Note: This field will only be available if "Other" is selected in the "Assessment Tool" field. 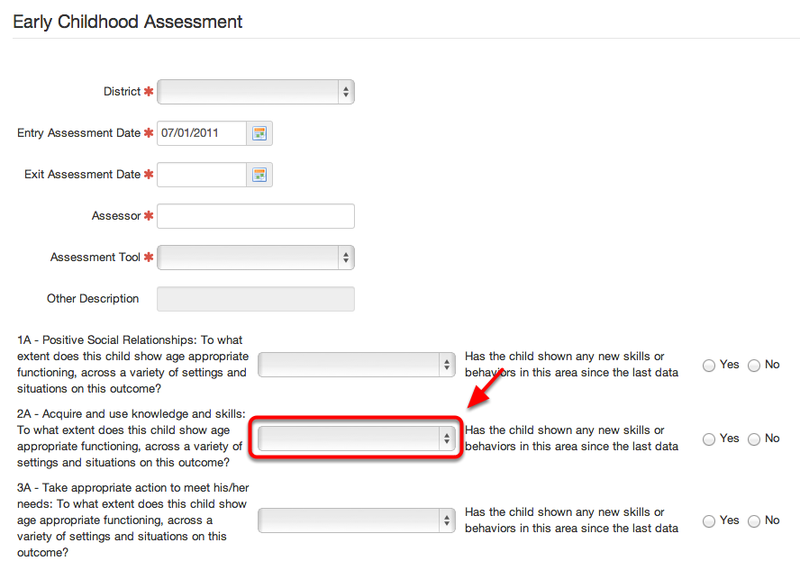 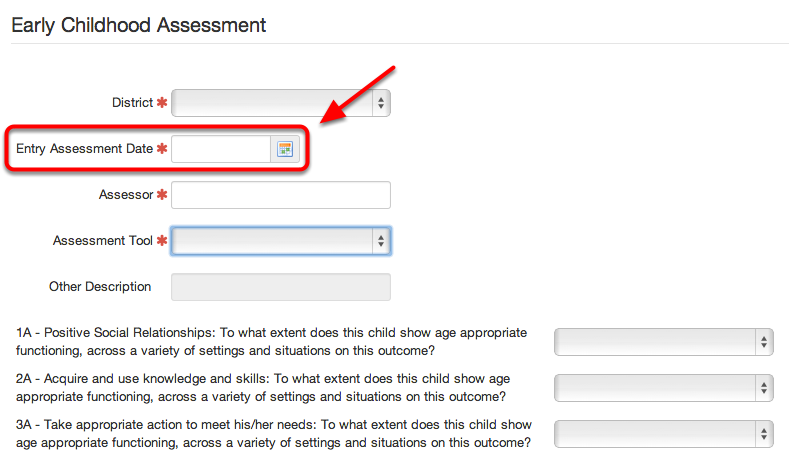 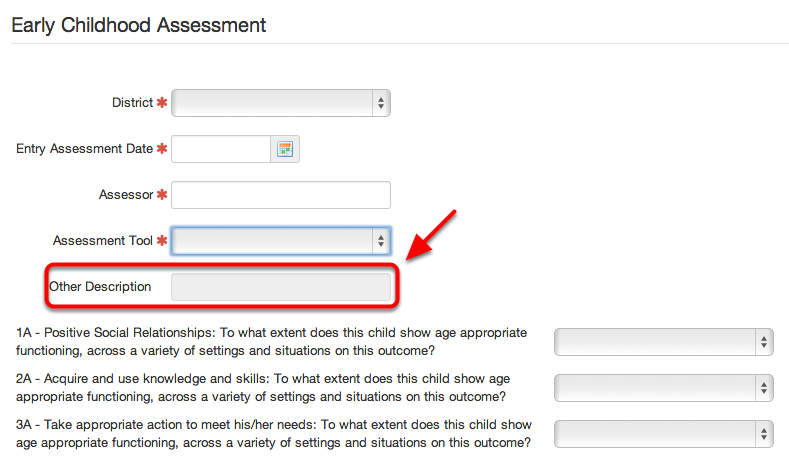 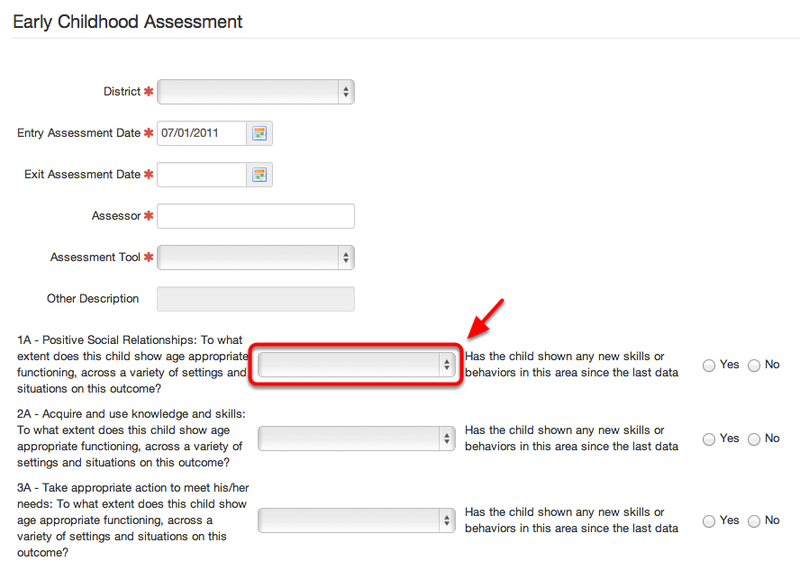 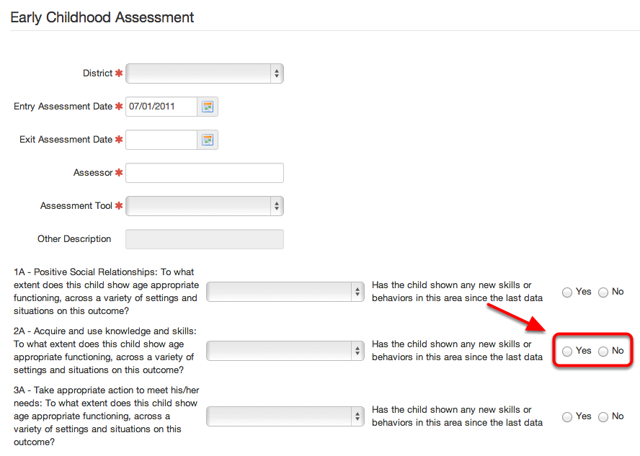 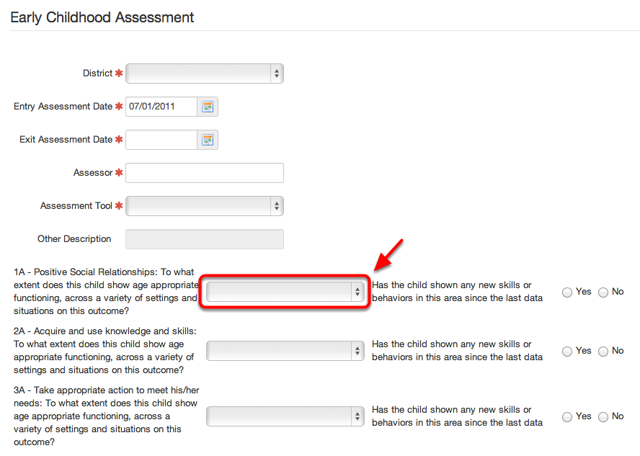 The Entry Assessment Date is generated from the "Entry Assessment Date" field on an Early Childhood Entry Assessment. The Exit Assessment Date is generated from the "Exit Assessment Date" field associated with the Early Childhood Exit Assessment.